Incorporating a significant art collection donated to the Parish was part of the uniqueness to the design process for the two very different projects at St. Gerard Majella. Part one of the project was the renovation and expansion of the existing church vestibule and addition of an Adoration Chapel. 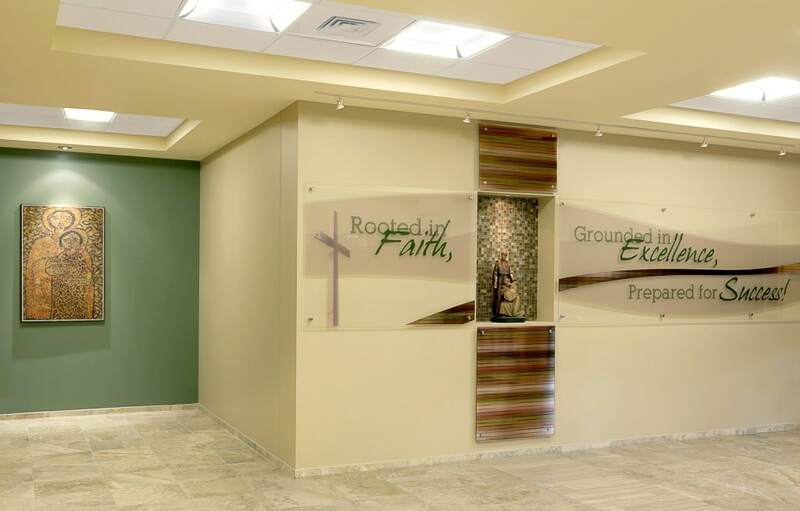 The design team developed niches for several bronze statues and incorporated a display case for several artifacts. 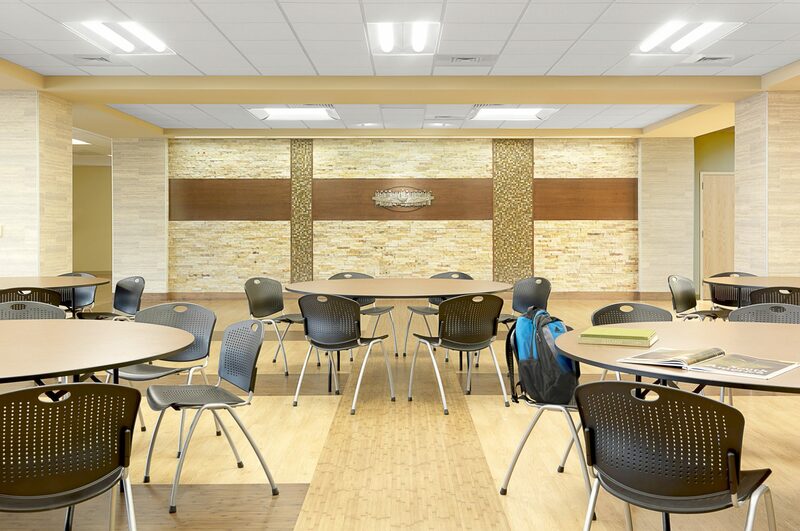 Cove lighting and dropped pendant fixtures give the Narthex a more welcoming feel. 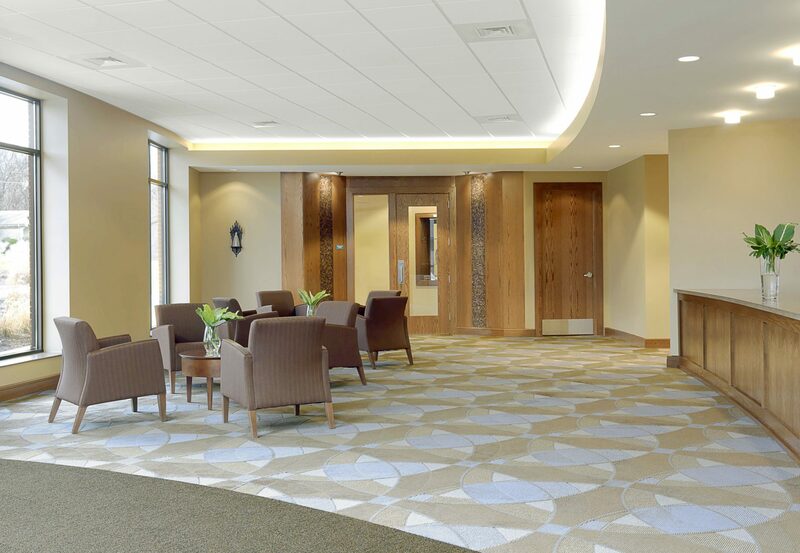 Warm wood tones that tie to the existing church along with carpeted walk off areas help to soften sound while parishioners socialize in the newly expanded Narthex. 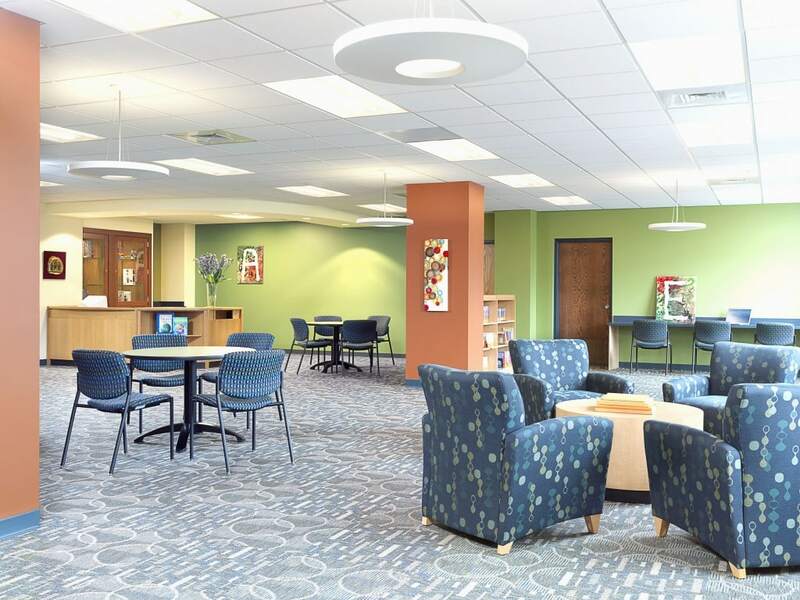 The second part of the project included the new school expansion along with the renovation of the old school into parish meeting rooms and two new libraries. The entry to the new school building includes a custom graphic and niche that presents a statue of St. Gerard and emphasizes the school mission. A more sophisticated “school color” palette dresses up the entry lobby and provides a good bridge to the Liguori Hall which is used by the school as their lunch room and as a Parish Hall. Again, artwork was strategically designed into the interiors.